One year on from one of the most significant days in online poker history and there have been a number of changes made following that fateful day. Domains have been seized, indictments created and a small number of people have even been arrested. But aside from the soap-opera drama that has followed the events of April 15, 2011 there has been a considerable effort from the iGaming industry to deal with the ramifications of what has occurred. For most, this effort has consisted of developing and implementing a strategy which would allow iGaming operators to enter the potentially extremely lucrative US online gambling market. This has been something that some companies have found easier than others and even those that haven’t put any plans onto paper are watching on. Be they focusing on the legal situation or assessing the fortunes of those who have already made the plunge – there’s plenty to be learnt. While watching others provides an opportunity to assess the success of certain invasive tactics, it doesn’t put operators in the place that they want to be when legislation is brought in. Having said that, some deals may have created significant levels of risk for the parties involved. What many are finding out and some would have claimed to be able to say before is that there is no safe strategy for making your way in the US. As such cases have to assessed on an individual basis. Below are just some of the more high profile companies that have been making noise about combining the online gambling world with the US. 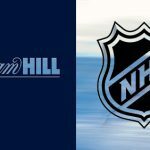 After having considerable financial success in the online sector following their joint venture with Playtech, William Hill wasted no time in extending their reach to the US. First was the acquisition of American Wagering Inc. and Cal Neva Sportsbook division. This was soon followed by the acquisition of Nevada-based betting operator Brandywine Bookmaking. 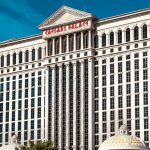 Not a company to often be found wanting, Caesars have gradually ramped up their assault on the online gambling industry. CEO Gary Loveman was the cover story of Gambling Insider speaking about all things internet while the company went about establishing Caesars Interactive Entertainment – the online arm of the casino giant. 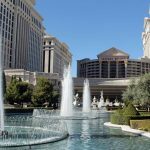 The Reno-based company also admitted to pressing hard in order to encourage the legalisation of online poker while an investigation found that Caesars had spent $821,000 lobbying in Q2 of 2011 alone. But it’s not just been plain old iGaming where Caesars have looked to gain a foothold. In May, a ‘strategic investment’ was made into the creators of Facebook game Slotomania, Playtika. All of this despite a self-imposed ‘quiet period’ caused by the companies flotation on the stock market! As a pureplay operator with a great brand, the staff at 888 will have been licking their lips at the prospect of getting their hands on a piece of the US iGaming pie. They certainly haven’t hung around either with reports emerging in July about talks with Caesars Entertainment over a joint venture. This was seen as a simple way for 888 to gain a Nevada online poker license and was finally completed when the company’s B2B section Dragonfish entered an agreement with Caesars. Rather than a new deal, the January announcement was simply an extension of the existing UK deal to also include the US. But Caesars won’t be the only ones to break bread with 888 Holdings as Donald Trump has been reported by The Times to be talking to 888 about starting up an online poker site. However before 888 shareholders get too carried away, it’s worth remembering that Trump is a fairly shrewd operator and is likely to be talking to various other online operators. Not wanting to be left behind, Ballys sort of skipped a step when they went straight to social and mobile gaming. They did so in one fail swoop by acquiring MacroView Labs in July. By doing so Bally allowed the self to make use of the company’s free to play and mobile technology which are, to say the least, two very important markets. October even saw the company finally create a digital arm, something which many will testify is well overdue. When it did finally arrive it came in the form of Bally Interactive and provided their operators with free play mobile and online gambling. Perhaps recognising that they had been considerably late to the party the folks at Bally made a move to acquire the US ChiliGaming B2B platform at the end of February. This is a move which may finally bring them up to speed with the industry but they’re sure to need all the advice they can get from their newly acquired online gambling specialists. 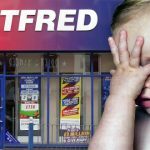 Despite having made the most headway, William Hill is by no means the only iGaming operator looking to the ‘Land of Opportunity’. Irish bookmaker Paddy Power has, unsurprisingly, adopted a different approach from their contemporaries. Rather than acquiring or partnering the company has gone full steam ahead by continuing with their application to be a licensed manufacturer and operator. This plan has been some time in the making with the original application having been made in August 2010 but should it come up trumps then the Irishmen will be ideally placed in Nevada. 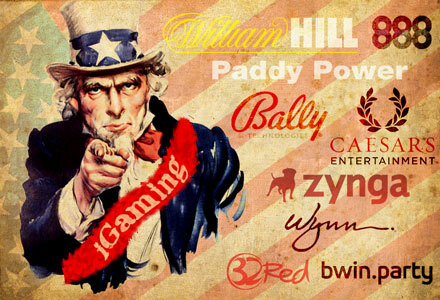 bwin.party have adopted a similar approach by applying for a Nevada online poker license. The iGaming super company has been among a clutch of pureplay companies to apply for a coveted Nevada gambling license. Given Anurag Dikshit’s $105 million deal with the US government you would hope that bwin.party will be able to seamlessly move into the US but things continue to be less than easy. Even 32Red’s whiter than white approach to grey markets has been tested with CEO Ed Ware recently admitting that they were having had ‘conversations’ with various US companies. Given the potential size of a legal US iGaming industry it’s no surprise that it has attracted the attention of many organisations across the world. Of those who have made their iGaming intentions clear, few are more high profile than Donald Trump. Trump teamed up with Marc Lasry’s Avenue Capital Group hedge fund in October in an attempt to launch an assault on the US online poker market. Steve Wynn is another who is sure to want to cash in on his brand and has been rumored to be doing so in a social capacity. The beginning of this month saw reports in The New York Post claiming that Zynga may strike a deal with the casino company Wynn Resorts. 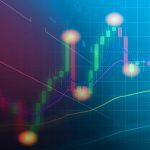 With many more companies looking to capitalize on a legal US iGaming industry the deals and strategies above are sure to be replicated many times over. It’s clear that these deals and strategies are more relevant now than ever. To illustrate just how close we now are to a legal iGaming industry in the US just look to Nevada. The recent meeting of the Nevada Gaming Policy Committee to investigate the ways in which Las Vegas can take advantage of online gambling shows that plans must be made sooner rather than later. According to those in the know, when this committee meets things tend to happen – suggesting that if companies haven’t already got an online US strategy, they better get one.